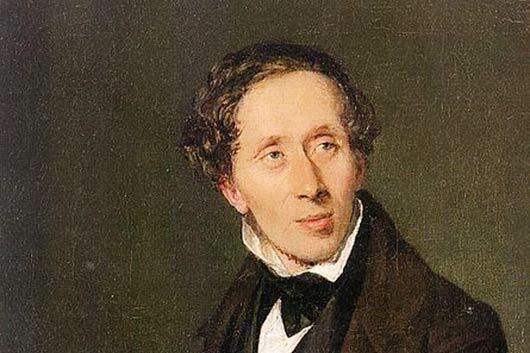 April 2 is Hans Christian Andersen’s birthday and is observed as International Children’s Book Day. On this day, Andersen’s life and work are celebrated around the world. Andersen’s stories laid the groundwork for other children’s classics such as Wind in the Willows by Kenneth Grahame and Winnie the Pooh by A.A. Milne. In the English-speaking world, his fairy tales remain immensely popular and are widely read. The Emperor’s New Clothes and The Ugly Duckling have both become household stories, book in hand or not.Let’s learn a little more about this author who gave us magic in words, prose, and phrases. We know Andersen’s tales almost by heart as they have accompanied most of us throughout our childhood and are today the guardians of our own children’s dreams. Some of his most popular fairy tales include: The Little Mermaid, The Princess and the Pea, The Little Match Girl, The Snow Queen, Thumbelina, The Wild Swans, and The Steadfast Tin Soldier.